Streaming TV provider Omniverse describes the piracy lawsuit filed by the Alliance for Creativity and Entertainment (ACE) as “reckless”. The company has unveiled new information, suggesting that it is backed by an old and relatively unrestricted licensing deal that was agreed by a US-based real estate company in the early 90s. Omniverse says that it’s literally doing everything by the book. 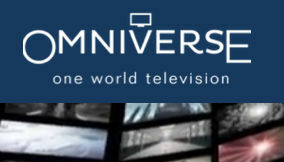 Last month, several major Hollywood studios, Amazon, and Netflix filed a lawsuit against Omniverse One World Television. According to ACE, Omniverse offered these channels without permission from its members. As such, the company was branded a pirate streaming TV supplier. Omniverse swiftly refuted this claim in a statement to TorrentFreak. The company said that it supports anti-piracy efforts in general but didn’t go into detail about ACE’s allegations or the licenses it has. That changed his week. After being repeatedly branded as a pirate service, Omniverse CEO Jason DeMeo provided further details to Lightreading. The company is completely legal, he said, backed by an unprecedented licensing deal that was signed decades ago. “Everyone is framing me as some sort of pirate… when I’m 100% compliant with what I’m supposed to do,” DeMeo said. The licensing deal in question was obtained by a company called Hovsat, which is linked to the US-based real-estate company Hovnanian Enterprises. According to DeMeo, the agreement was signed by Hovsat in the early 90s for the duration of 100 years. Such a long term was required to allow home-builders to serve communities for decades to come. Aside from the long duration, there apparently are no geographical restrictions either. And with IPTV still being a pipe dream in the early 90s, that wasn’t excluded either. The only requirements in the agreement are linked to copyright protection in general. The existence of such a deal was already hinted at by DeMeo months ago when he was questioned by Cord Cutters News. Although Hovsat was not named then, Omniverse already used it as a tag on Twitter more than a year ago. While it’s clear that Omniverse believes that it’s doing everything by the book, a coalition of ACE rightsholders clearly disagree, as their lawsuit shows. Also, DirectTV, whose logos appear on some Onmiverse broadcasts, clearly states that its content can’t be licensed in this manner. So, it appears that the lawsuit between ACE and Omniverse may be different from traditional ‘pirate’ lawsuits. Based on DeMeo’s comments, the validity of the 100-year licensing deal will likely be at the center of it. “I’m literally doing everything by the book,” DeMeo told Lightreading, describing ACE’s lawsuit as “reckless.” He further noted that his company makes sure that all its licenses are in order and that its distribution partners stick to the rules as well. Omniverse and its legal counsel believe that the licensing agreement allows it to operate in this manner. This feeling was strengthened when it defeated cease and desist orders from companies such as Discovery Communications and Viacom. Until now, the joint venture between Hovsat and Omniverse was not made public but DeMeo said that his company pays all the required fees. Whether the licensing deal will indeed hold up will likely become apparent in the upcoming court battle. While Omniverse has commented in public, it has yet to file a response to ACE’s complaint at the California District Court. The lawsuit was initially assigned to Judge Dale S. Fischer, who recused himself due to a conflict of interest. It was reassigned to Judge Christina A. Schnyder, who also recused herself stating that she has a financial interest in one of the parties, before being handed over to Judge Dolly M. Gee.